The National Business Incubation Association defines a business incubator as a comprehensive assistance program targeted to help start-up and early-stage firms with the goal of improving their chances to grow into healthy, sustainable companies. Entrepreneurs participating in the SPICE Kitchen program develop successful food businesses, preserve their culinary traditions and share their talents with the Salt Lake County community. Spice Kitchen Incubator is a project in coordination with the International Rescue Committee and Salt Lake County. Natalie El-Deiry is the Acting Executive Director at the International Rescue Committee (IRC) in Salt Lake City. She brings with her over 14 years of nonprofit administration experience, including fundraising, grants management, volunteer management and developing programs to serve vulnerable populations. Natalie has committed her career to working for social justice with the belief everyone deserves equal economic, social & political rights and opportunities. It is this belief which led her to her work with the IRC working with the refugee community. Natalie co-founded Spice Kitchen Incubator in 2013 to serve new Americans in achieving their dreams of owning a food business. 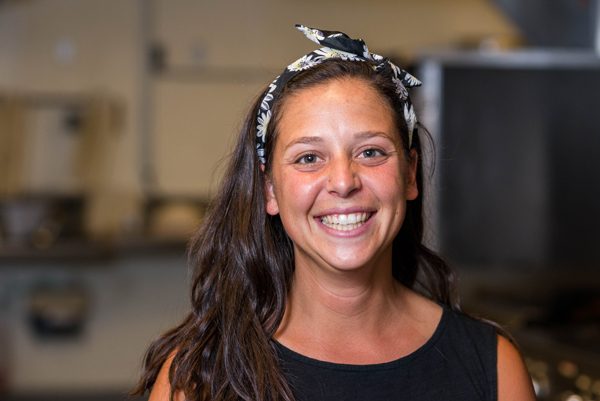 After finding inspiration in the La Cocina San Francisco Incubator Kitchen, Natalie was committed to bringing a high quality kitchen incubator program to Salt Lake City. Through the program, Natalie has seen firsthand how food truly does speak all languages and hopes the program will continue to add new flavors to our community while bridging cultures and bringing people together. Kate has been working with food since she was a child in northern Minnesota. She obtained a degree in Sociology with a focus on food systems in Portland, Oregon. Subsequently, Kate went on to work with cashew cooperatives in Central America and Indonesia developing markets in the United States under Fair Trade Practices. Following that she spent almost a decade in Fairbanks, Alaska developing and operating a food business incubator program for the Univ. of Alaska Fairbanks Cooperative Extension Service. Kate joined Spice Kitchen in 2016 and really enjoys the new Salt Lake network and diverse clientele as she assists Spice entrepreneurs to "add new flavor to Salt Lake City." Jackie came to Spice Kitchen Incubator in 2016 as an AmeriCorps VISTA responsible for growing the program through community outreach and volunteer recruitment. With a background in community education, one of Jackie’s favorite responsibilities is conducting outreach with others from the International Rescue Committee’s Economic Empowerment team. From a small town in central Pennsylvania, Jackie didn’t have much exposure to diverse food options and considers herself lucky to be part of the Spice Kitchen Incubator program. She has yet to try something from one of the entrepreneurs that she doesn’t like! Casidhe graduated in 2016 with a Bachelor of Arts from Colgate University. She is pursuing a career in the non-profit sector beginning as an AmeriCorps VISTA. At the end of her term with AmeriCorps, Casidhe became a Program Specialist with Spice Kitchen. She loves to dance, read and cook, and lives to eat good food. Her most daring moment was hiking up Mount Vesuvius, a still-active volcano in Pompeii, Italy. Most of all, she loves to travel and meet passionate and interesting people! Carolyn graduated in 2018 with a Bachelor of Arts in Government from the College of William & Mary. In college she played for her school's women's rugby team and is excited by Salt Lake City's love of sports and the outdoors. She has previously worked in Bosnia and Herzegovina as well as Liberia and is interested in pursuing a career in international development. Additionally, she is also looking to improve her own cooking skills and is hoping to learn from the Spice Kitchen's own entrepreneurs. Jalen is currently working as a New Business Development Intern with Spice Kitchen as a part of his undergraduate studies. He is attending the University of Utah studying Japanese and Political Science with an emphasis in International Relations. He has a passion for learning and experiencing new cultures, and believes that food is the best way to share culture. Jalen loves to travel (like everyone else) and spent two weeks in Japan as a study abroad trip, and has plans to go back soon. He is extremely grateful to be a part of the Spice Kitchen and learn from so many different cultures that are represented by the Spice Kitchen.